Model year 2018 sees the F-150 undergo a few cosmetic and mechanical changes, but the big news is that North America's best-selling vehicle will finally be available with a diesel engine. 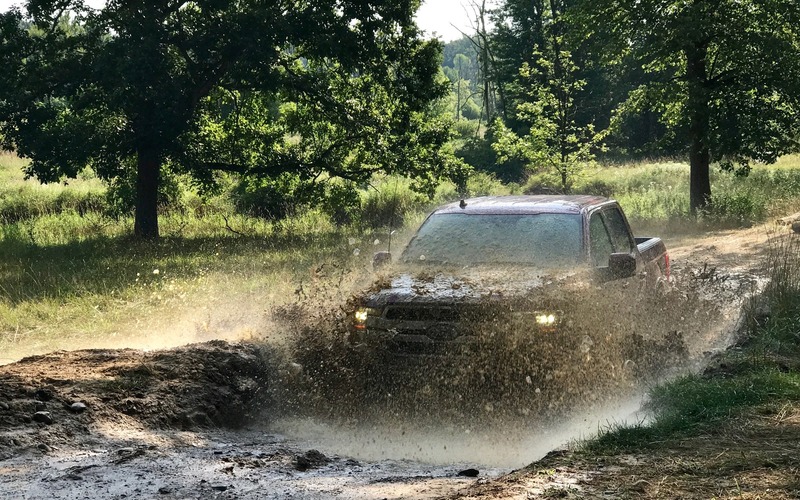 Sure, we haven't test driven it yet, but that doesn't mean that the event we attended last week to get to know the 2018 F-150 was a waste of time. 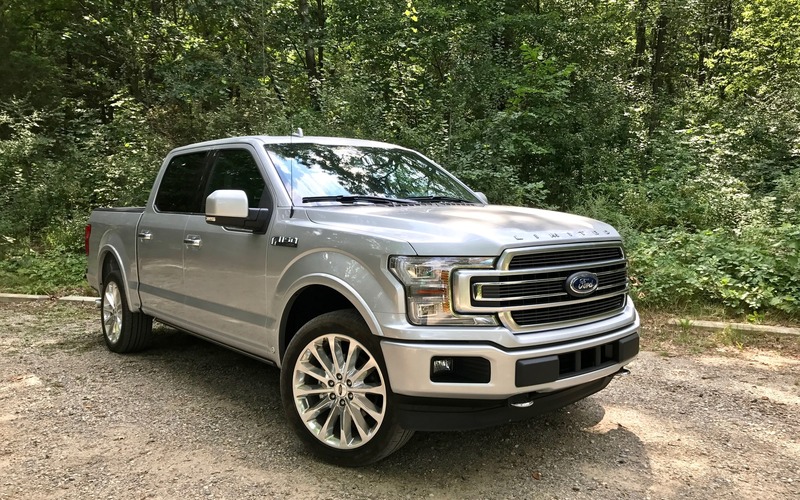 On the contrary, it helped us understand the extent to which the F-150 is a quality product and the extent to which, still today, it remains the benchmark in its category. At first glance, it's difficult to differentiate the 2017 and 2018 F-150. In reality, there are subtle changes in the front and back, and the more expensive versions boast new LED lights that give the vehicle an even more angular and sturdy look. In the cabin, the shapes remain the same. A little more innovation would have been nice from a styling point of view, but considering that all brands offer pretty much the same thing, these shapes have already proved their worth. Of course, the quality of said cabin varies widely based on the version you choose. You can still get a three-seat bench in front or opt for big bucket seats with a massage function. Between fabric, vinyl and high quality leather, the possibilities, like the options, are endless. This much is certain: the Limited version of the 2018 Ford F-150 is becoming as posh as a full-size Mercedes-Benz. In 2018, certain versions come with a system that helps prevent or mitigate collisions with pedestrians, and smart cruise control that automatically adjusts the vehicle speed according to the traffic, but is optimized for towing. It's very practical if you're planning on driving across Canada with a trailer! As previously mentioned, we didn’t test drive the turbo-diesel 3.0-litre V6 that will be available later in 2018. Nevertheless, we’re aware that three of the vehicle’s four engines have been improved. The V6 now displaces 3.3 litres and generates 290 horsepower as well as 265 lb.-ft. of torque, which represents an increase of eight horsepower and 12 lb.-ft. compared to the old 3.7-litre V6. It is also a bit more fuel efficient. The popular, but unreliable 2.7-litre EcoBoost V6 still delivers 325 horsepower, but torque increases by 25 lb.-ft. to an even 400. The just-as-popular 3.5-litre EcoBoost V6 is unchanged at 375 horsepower and 470 lb.-ft. of torque. The classic 5.0-litre V8 gets 10 additional horsepower, bringing the total to 395 and 13 more lb.-ft. for a total of 400. It’s also a little more fuel efficient. While the base V6 is paired with a very good six-speed automatic gearbox, all the other engines are combined with the excellent 10-speed automatic. It responds quickly and helps make day-to-day driving more pleasant. On the job, it doesn’t flinch in the least and helps you forget, if only for a moment, that you’re towing a heavy load. 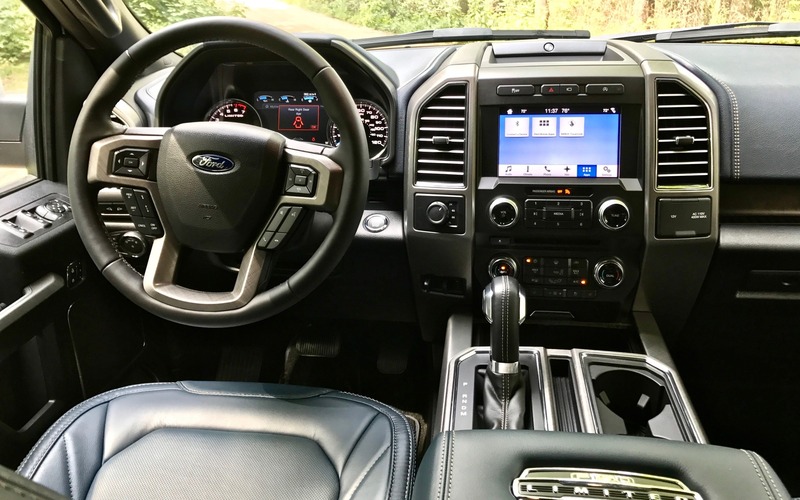 With four different engines, the 2018 Ford F-150 is fit for several types of needs, whether you’re looking to tow an ATV or even loads that weigh up to a class-leading 5987 kilograms (13,200 pounds). The word's been out for a while that the Ford F-150's body is now made of aluminum instead of the traditional steel panels. This change has helped Ford shave up to 700 pounds (depending on the version) off the vehicle. That helps with fuel economy, but more importantly, you feel the difference when driving. Shedding all that weight has two main effects. First, the vehicle is more comfortable. Body-on-frame vehicles tend to move around a lot and the fact that this body is lighter reduces body movements. Less weight means a sportier, more engaging and more dynamic ride than the competition. This generally isn’t a priority for truck buyers, but hey, it doesn’t hurt. We also put the F-150 through its paces off the beaten track. Ford doesn’t do much bragging about its off-road capabilities, and yet, the F-150 is fantastic. In fact, being lighter than its competitors, it is at an advantage in certain situations, like in mud or sand. In the end, what makes the 2018 Ford F-150 the benchmark is the synergy between its components. Over the years, the manufacturer has managed to develop a secret recipe that none of its rivals has been able to replicate. If you need a truck and you’re not loyal to any one brand, this is currently the best choice available.